MPLEMENTING CHANGE, no matter how simple or inexpensive, usually will encounter some resistance. However, with kind presentation, much can be accomplished with patience and gentle persistence. One very basic step that I propose is rooted in understanding both physics and the purpose of sacred music. They go together. I suggest that whenever possible, that sacred music be produced with natural sound and with little to no use of amplification. The first step is easier with regard to budget for any parish: a significant decrease or cessation in the use of microphones for singers. Simple? Yes. Yet it is a change that may receive much resistance at first. But the congregational singing will improve – an astounding irony. I also suggest singing unaccompanied with greater frequency. (This advice is coming from an organist!) In doing so, I would place greater emphasis on blend, tone production, and diction rather than volume. 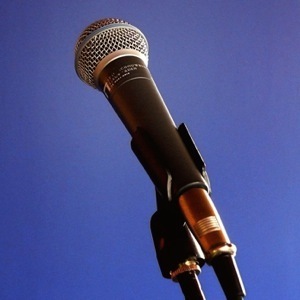 Unless a parish spends a great deal of money on a sound engineer and expensive audio equipment, poor placement of microphones usually distorts an otherwise good blend from a choir. The money would be far better spent on the removal of carpeting. Additionally, congregations often sing better without accompaniment as they can hear each other with greater ease. Nor is the flow imposed upon them by one dominating voice. The congregation will determine its own pace. This is very true for the dialogues of the mass and of the Ordinary and simple acclamations or litanies sung in a chant style. Most importantly, unaccompanied (and therefore unamplified) singing is the essence of elevated speech. This is singing the Mass! As Archbishop Sample stated, “…the role of sacred music is to help us sing and pray the texts of the Mass itself, not just ornament it.” Unamplified and unaccompanied music gives the text of the mass to the people in their sung prayer. Simply put, turn down the mikes if and when you can. Allow the people to sing! UT I RECOGNIZE A PRAGMATIC PROBLEM. Many parishes may not have the finest of acoustics. Parishes and even some cathedrals are enamored of carpeting (to say nothing of seat cushions!). I believe it is a trend that is waning, but this at times makes amplification necessary. 31. When the choir is not exercising its particular role, (see no. 30.) it joins the congregation in song. The choir’s role in this case is not to lead congregational singing, but to sing with the congregation, which sings on its own or under the leadership of the organ or other instruments. This also begs the question: who is the leader of song? It is certainly not a cantor on a microphone. It can more likely be the organ. Ideally, it is the congregation itself. As such, the organ accompanies the congregation, not the cantor or choir. MPLIFIED SOUND DOES NOT ALWAYS IMPART the full beauty of natural overtones. In fact, digital instruments with solid state amplifiers emphasize the even numbered harmonics which accounts for a more aggressive or harsh sound. (Tube amps are much warmer as they bring out the odd overtones.) But even highly expensive speakers have difficulty replicating the vast range of natural overtones produced by either a human voice or a pipe organ. Closing or opening a swell box in a pipe organ changes not only the volume but the warmth and brightness of tone, something digital organs do poorly. An electronic organ with the latest digital sampling technology may sound very much like a pipe organ, but simply does not feel like a pipe organ. Nor does an amplified human voice soar with quite the same warmth, beauty or dignity. HIS ARTICLE BRINGS UP more complex issues such as architecture, renovations (remove the carpeting?) and the big one, which is replacing an electronic instrument with a pipe organ. These are problems even small parishes face. A myth is that digital organs are cheaper. But expect to pay well over six figures for a digital organ. While they don’t need regular maintenance, they will break down in a generation or so. Then a parish must make a monumental investment yet again for another inauthentic instrument. 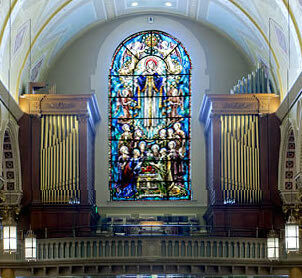 In reality, a repurposed pipe organ is usually quite comparable in price with a new digital organ. There are many closed churches around the United States and the world. There are many organs waiting to be removed, relocated and restored. While this deserves a separate post, it is a simple thing to get the conversation started with your pastor, congregation, and therefore donors – that a repurposed pipe organ (and remove that carpeting while we’re at it?) will improve your music exponentially. If you are in the U.S., get in touch with your local chapter of the American Guild of Organists and ask for a consultation with their Organ Advisory Committee. They will come out to your parish without charge to evaluate possibilities. They may likely refer you to the Organ Clearing House which has approximately 450 pipe organs available at any time. Begin the conversation. It may be met with resistance at first. But your resolve may plant the mustard seed that may one day yield extraordinary things.